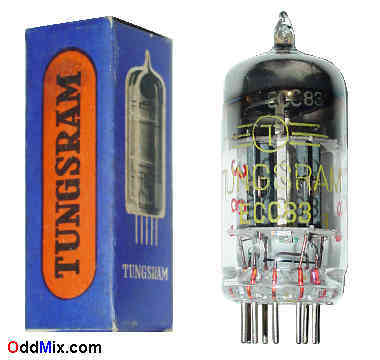 This is a genuine, vintage, rare, historical, discontinued Tungsram ECC83 High-Mu Twin Triode Electron Tube. This is a Hungarian made collector's special, numbered vacuum tube - Tube Number is 3381. Typically used for audio and Hi-Fi equipment and as phase inverter or resistance-coupled amplifier in radio equipment and receivers. Excellent for antique radio restoration projects or to set up a private vacuum tube museum. It is unused, and excellent condition. First come first serve, one available!